August 13, 1978. A sunny Sunday afternoon in the Goleta Valley. Somewhere underneath the Santa Barbara Channel, the earth shifted abruptly, causing a magnitude 5.2 earthquake. The initial rupture started on an offshore fault, south of the city of Santa Barbara, at a depth of about 5.5 miles. The earthquake then ruptured northwestward, focusing its energy toward Goleta, where the most intense ground motion was between Turnpike Road and Winchester Canyon Road. It was described as a sharp, jolting earthquake that thankfully didn’t last too long. All off-duty police, sheriff’s deputies and highway patrol were immediately called on duty. No deaths occurred but sixty-five people were treated for injuries at local hospitals. 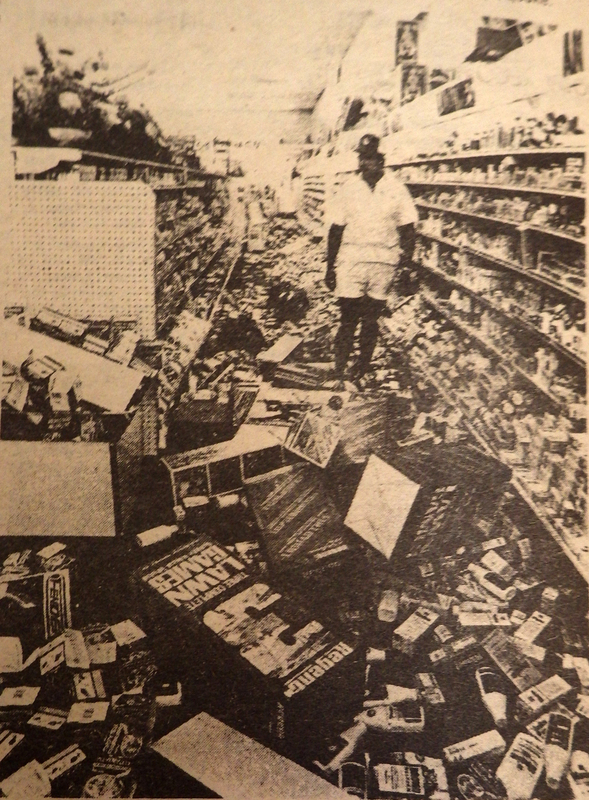 Around Goleta, store goods were thrown to the ground in heaping piles. 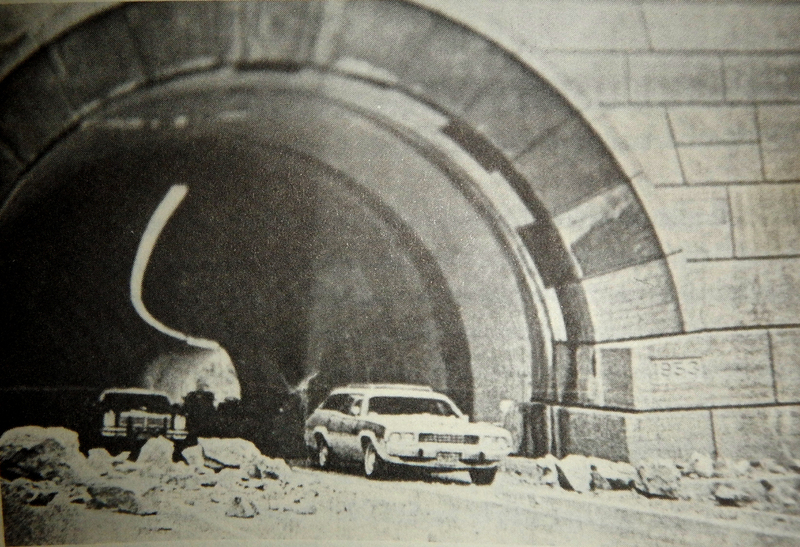 Windows of businesses and residences were shattered, the Santa Barbara airport terminal was left leaning, dozens of mobile homes were thrown from their supports, and a landslide blocked San Marcos Pass causing a huge traffic jam. Damage was heaviest in areas nearest the beach. Some water and gas mains were broken, and a two foot fissure opened in the earth near the Airport. About 7,000 people lost electricity for a while. A few fires broke out, but were all out within 30 minutes. 324 mobile homes were damaged in Goleta. 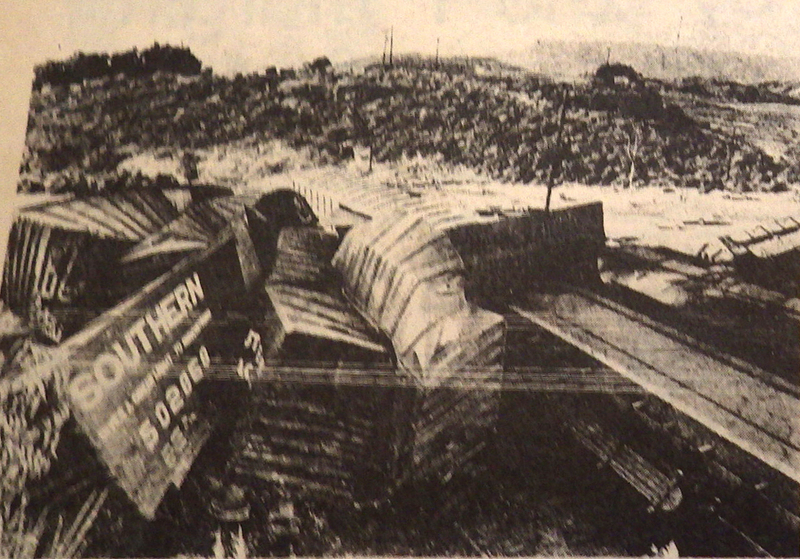 Many of these mobile homes were knocked from their pedestals, rupturing gas, water, and electrical connections. Significant structural damage occurred to 10 UCSB buildings and some of the dormitories. The damages included diagonal cracking of lower story walls, most of which were repaired by injecting epoxy into the cracks. In addition, approximately 400,000 books at the library were thrown to the floor. Elsewhere on campus, damage occurred to light fixtures, ceilings, plaster, and instruments and supplies in some labs. In the Chemistry building, chemicals spilled all over laboratory floors and a glass-walled cage holding several rattlesnakes broke, allowing the snakes to make an escape. They were recaptured without incident. Total damage at UCSB was set at $3.4 million. The roofs collapsed at Smith’s Food King, the Bluebird café in Santa Barbara and a residence in Isla Vista. Also, part of the roof at a car dealership in Goleta caved in. Santa Cruz Market in Old Town got it’s picture in the L.A. Times! Landslides occurred at the Gaviota Pass, but luckily no one was injured. An emergency ward was hastily set up outside the Goleta Valley hospital, but only about a dozen people were seriously hurt. Burns from scalding water, cuts from broken glass and a car accident were the causes. But the most dramatic result of this earthquake didn’t happen until ten minutes after it ended. The temblor had created a kink in the tracks adjacent to Haskells Beach. 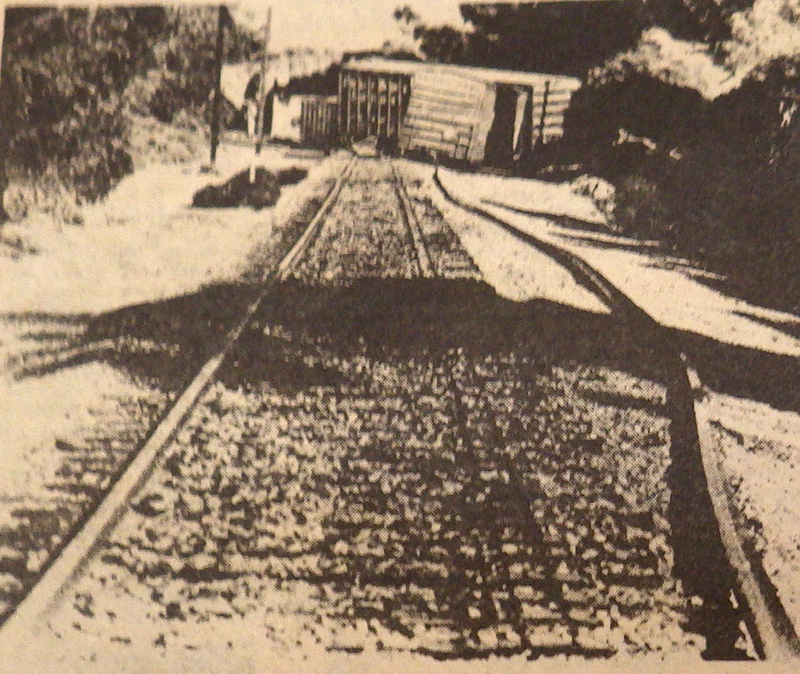 A freight train was moving at approximately 50 miles per hour through Goleta when the conductor noticed the kink in the tracks. The train derailed, but fortunately no one was seriously hurt. It might have been a different matter, however, if the Amtrak train scheduled to arrive later in the afternoon had gone through first. One diesel engine and twenty cars were derailed, some of them “stacked up like dominoes” according to a railroad spokesman. The engineer saw the buckle and stopped as quick as he could, but the damage was extensive. The wheel-truck from one car was hurled all the way to the center divider of the freeway, where it came to rest after brushing the roof of a passing automobile. A self propelled crane was brought in from Los Angeles to clear the blockage. Overall, Goleta came out OK, and the residents all had cool earthquake stories to share. Thank you so much for this article and for all the other histories too. I remember trivial specific details of that earthquake afternoon well. I was eating a late lunch or snack with my soon to be (now long ago ex-) wife at the McDonald’s on State Street in downtown SB. As the ground was shaking, I remember thinking for a split-second that some other customers running to the door wanted to see if the Granada Building across the street was going to fall down. What they were actually doing was being much smarter than I was in that instant by getting themselves under the doorframe in case the ceiling started to collapse. Immediately afterwards – and again naively – I remember being impressed that the milkshake machine behind the counter had moved so far across the floor and turned itself around in the process. Driving back to our apartment in Isla Vista we saw the shattered plate-glass windows of one of the car dealerships on lower Chapala just before we got on the 101. We found our apartment kitchen a mess, of course, since most of the items in our cupboards and fridge had been through onto the floor. After cleaning that up we decided to go to dinner at the new-age, hippie, commune-based (?) restaurant at Gaviota and seeing the derailed train just north of the Glen Annie/Storke overpass. That’s all that I remember about that day. At the end of the week we got married and – completely unrelated to the quake – started driving towards New England where my bride would start grad school. I returned, alone, to California three years later and have remained ever since, feeling minor earthquakes here and there but, thankfully, not being close to any of the large ones. Good stuff Alex! We would love to do a page on that Gaviota restaurant in the future. Thanks. As my dad took me to DusneyComing hone to Goleta just after N. of La Conchita I said Mom it looks like the waves,are going backward? She agreed then my Dad accused me to stop kicking his seat When,we returned homeon Del Norte street My childhood home I said See Dad told you i wasn’t kicking your seat! 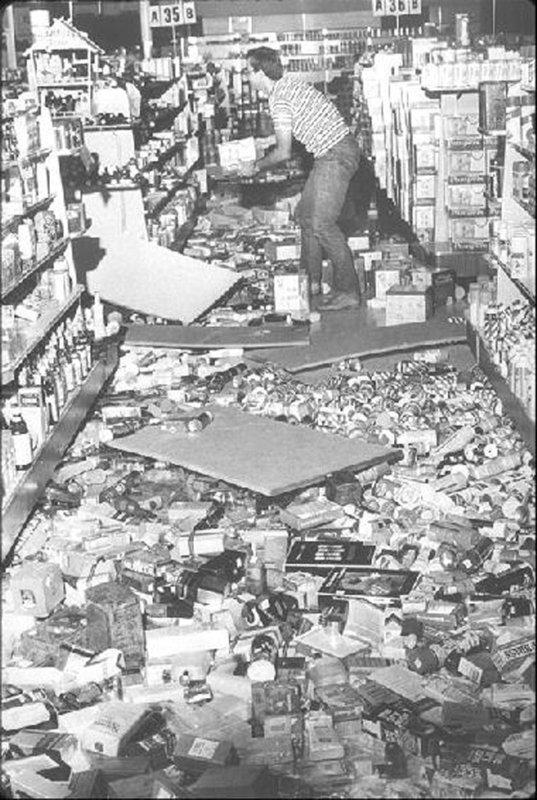 I was a little kid in Simi Valley when the quake hit. I don’t have a lot of vivid memories from then, but I remember that. Shook the house pretty thoroughly, but no damage.